This is a high quality print of the original Pen and Ink Stippling drawing done by Michael Dukes. My artwork is done in Stippling, which is a pen and ink art medium that produces unique illustrative patterns using black dots. 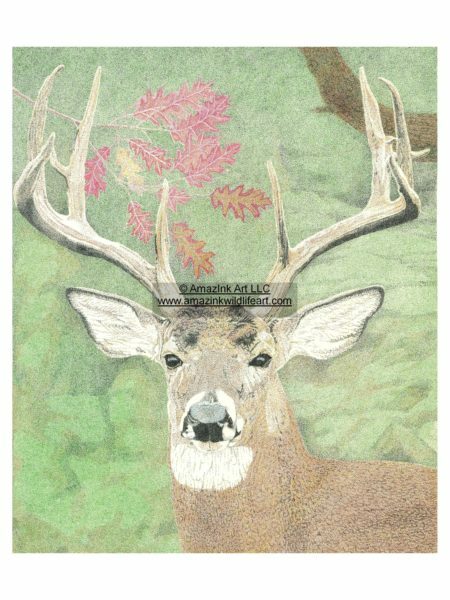 The dots used in Stippling create different variations of shading and tones that create value and contrast. This piece is delivered signed by the artist along with a Certificate of Authenticity. My prints are printed on acid free paper to increase the longevity and to preserve the quality of the work. Shipping is free using Priority mail service. Follow Michael Dukes on Instagram!